The vintage style cupcake dress (with pockets!) is by Retrolicious, an affordable and fun retro-inspired line. I love preparing special treats around the holidays (be it Christmas, Easter, July 4th, or my beloved Halloween) because it's an excuse to get creative with presentation. 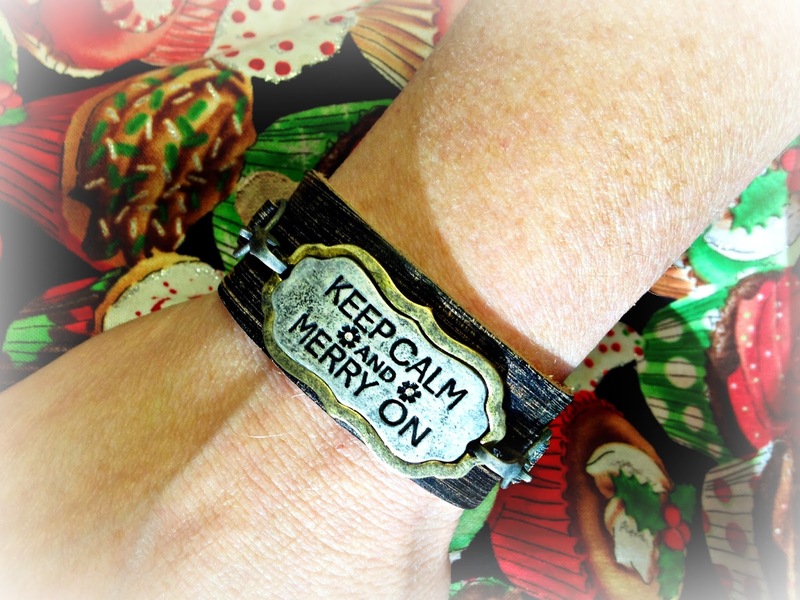 The leather cuff with holiday charm came from Hobby Lobby. The charms are interchangeable, so the Christmas themed quote can be easily switched to something less seasonal. 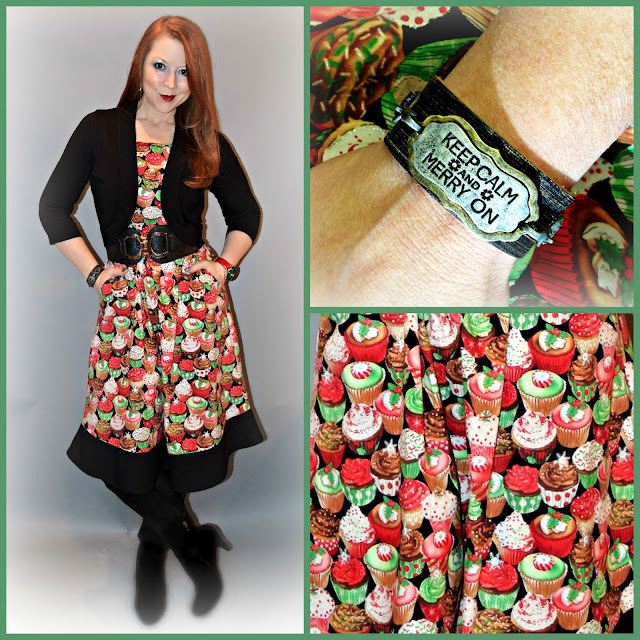 This Retrolicious dress covered in sweet little cupcakes has me thinking about what to bring to my parents' house for Christmas dinner. Strawberry Santa hats couldn't be simpler to make; Santa bread is one of my very favorite things to bake this time of year (see how I did it here); In the past few weeks I've made about 4 dozen sugar cookies featuring my custom Christmas shoes printed on thin sheets of edible frosting layered over buttercream. In the past three weeks I've already made about 4 dozen shoe-themed sugar cookies and 4 pounds of chocolate covered strawberries (a Red's Shoe Diaries signature dessert), so it's time for something different. 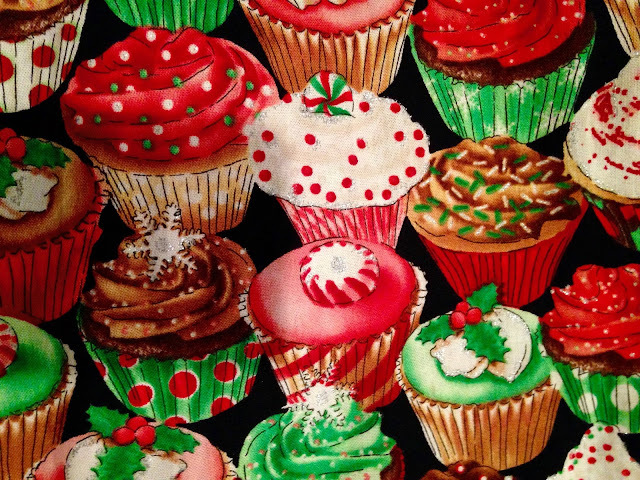 The fabric of my Retrolicious dress is baking inspiration. In search of inspiration, I thumbed through pictures of past projects and thought I'd share a few contenders. The "Santa bread" I made a few years ago was one of my all time favorites. It looks spectacular, but is actually fairly simple to accomplish (see how I did it here). 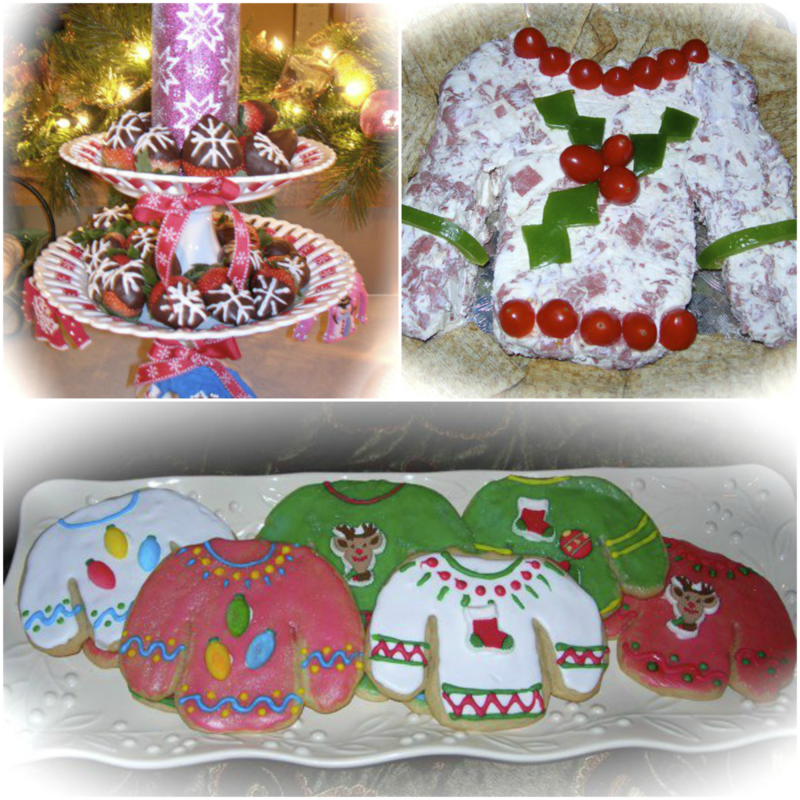 Chocolate covered strawberries are my quick and easy "go to" dessert; cheeseballs in holiday shapes are easy to make but always inspire smiles - this one was perfect for an ugly sweater party; "ugly sweater" cookies are also fun to make and decorate but they're time consuming. My ugly sweater cookies are always a hit, and super fun to decorate, but they're pretty time-consuming so those probably won't make the cut this year. 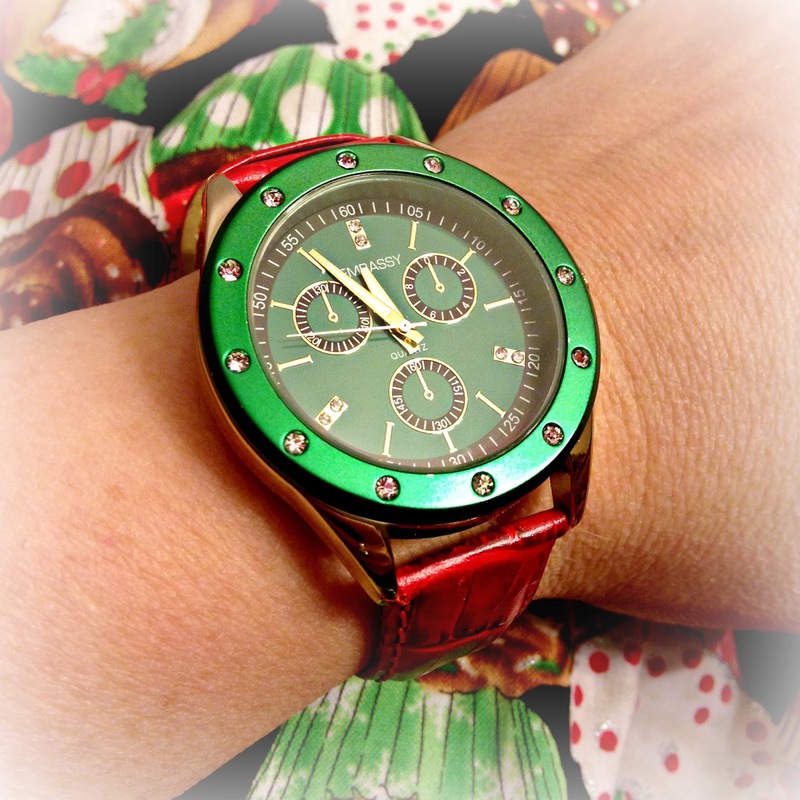 I swapped out the green band from this watch for a red one that belongs to a different watch - the dress and leather cuff are already full of tongue in cheek holiday kitsch, so I figured I might as well go all the way and make my timepiece "merry" too. Santa hat strawberries are super simple, but don't travel well. So maybe I'll go with a holiday-shaped cheeseball - also easy to make (and can be made in advance), but packs a big aesthetic punch. 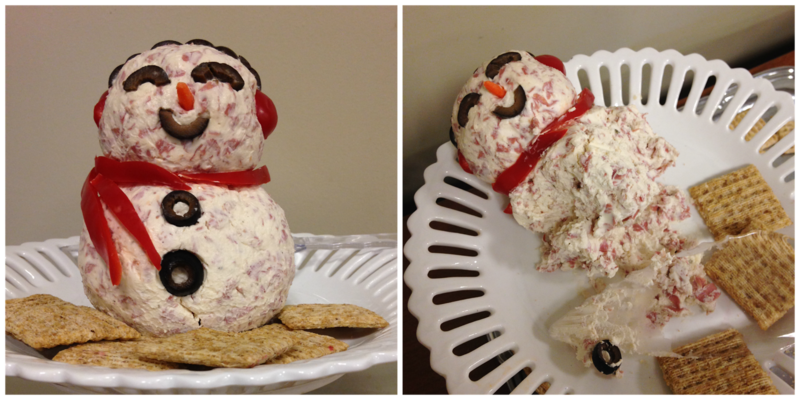 My Mom made this snowman cheeseball for an event I hosted a few weeks ago. It may be the only snowman we see this Christmas Season since the weather has been unseasonably warm (not that I'm complaining). Then again, maybe I'll do something completely new and different...Letting my creativity run wild with a holiday theme is my own little Seasonal joy. 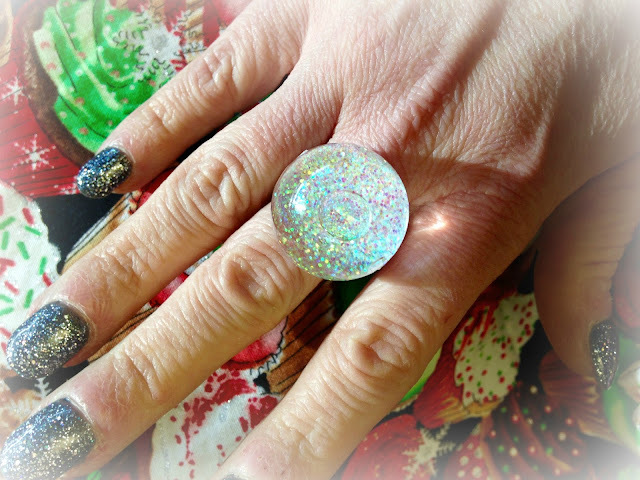 This snow globe ring was an impulse buy from Silver in the City, a favorite local Indianapolis gift shop for all things unique and unexpected. I can't stop shaking my hand to make it "snow."